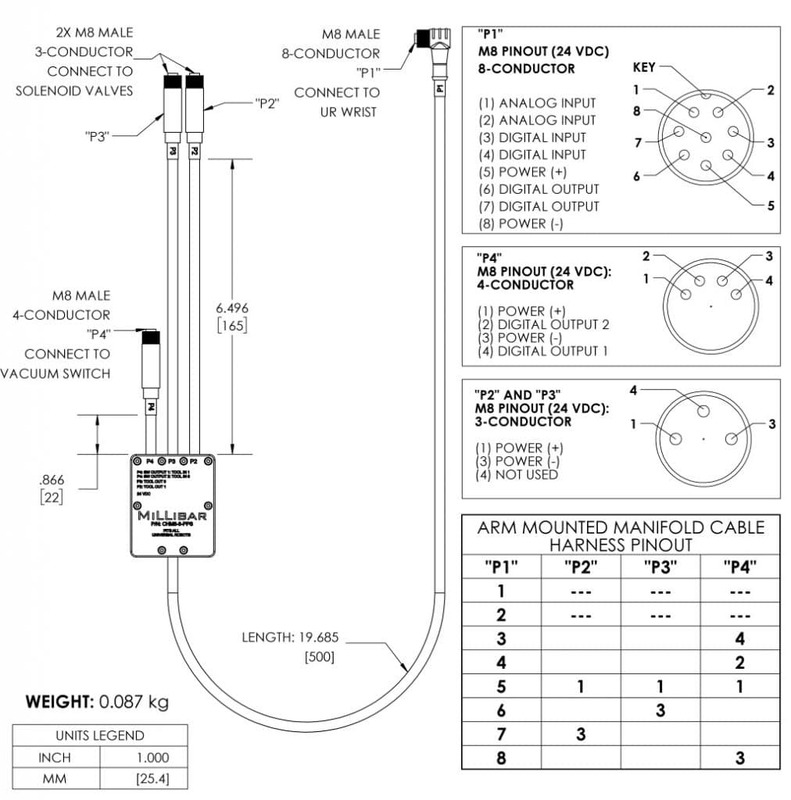 This cable harness provides the necessary connections between the solenoid valve(s) and vacuum switch in Millibar’s Arm Mounted Manifolds and the 8 Pin wrist connector on all models and series of UR Robots. 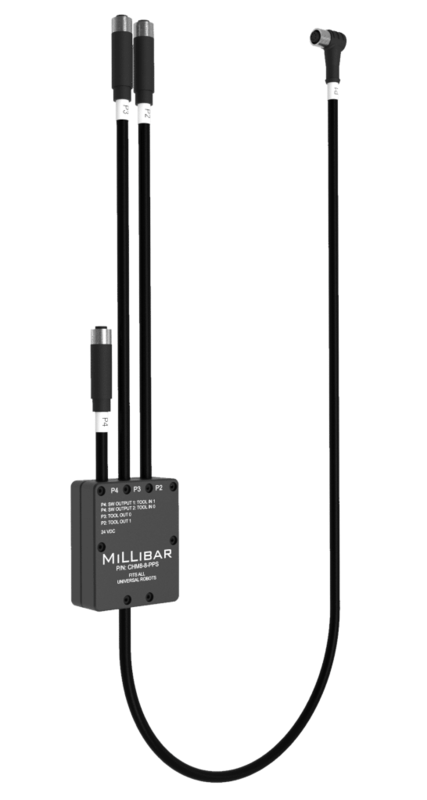 This cable harness is integral to Millibar’s plug and play end of arm tool components. Easily control solenoid valves to power venturi vacuum pumps and pneumatic grippers. 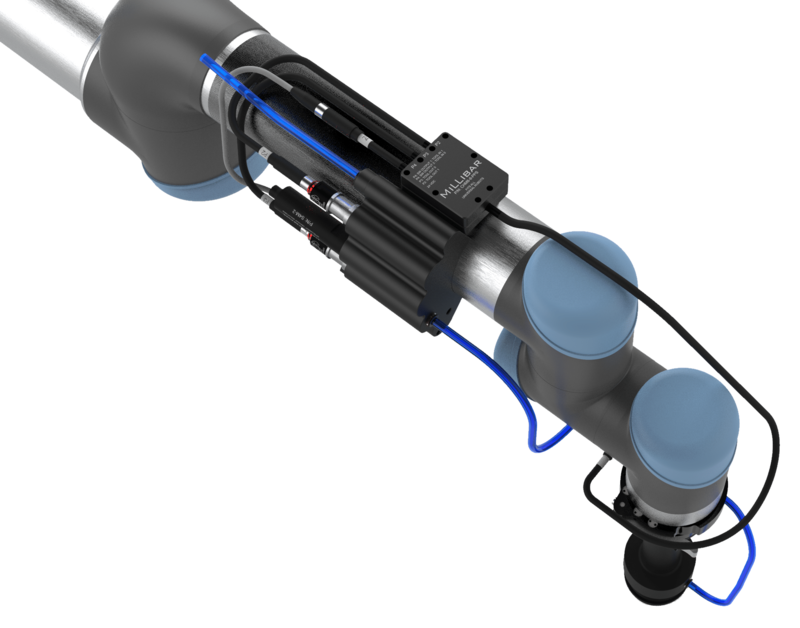 Monitor system vacuum levels for arm mounted manifolds that include a vacuum switch to provide feedback to the robot controller. Inputs and outputs are easily controlled from Polyscope and set up is measured in seconds. 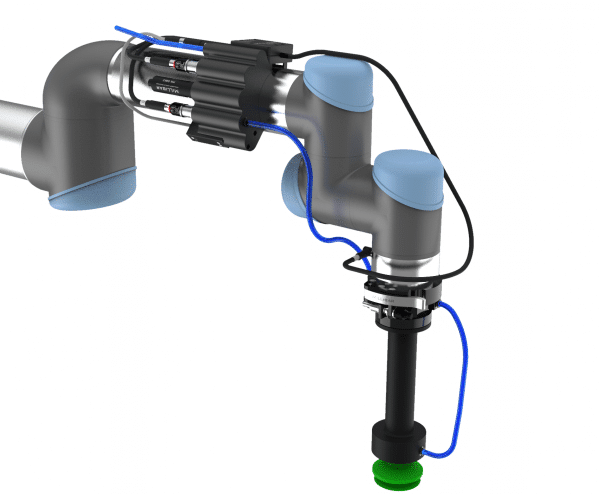 •8-pin 90° connector attaches to the M8 threaded electrical connector on the wrist of all Universal Robot models and series. •(2) 3-pin connectors supporting 2-way or 3-way solenoid valves. •4-pin connector attaches to the digital display vacuum switch with two digital outputs. Millibar brings a generation of practical experience applying vacuum technology, and serves up the “best of the best” solutions for factory automation, robotics, material handling, packaging and many more applications. Our structure taps over 30 years of practical experience at every level of vacuum design, engineering and manufacturing.